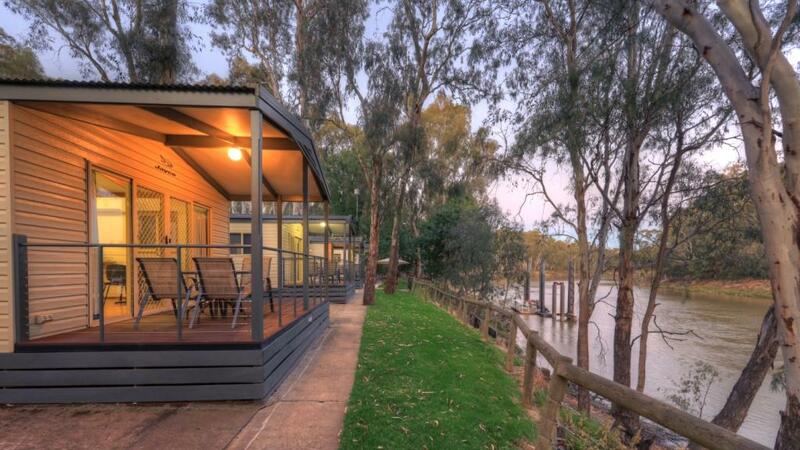 Located on the mighty Murray River. 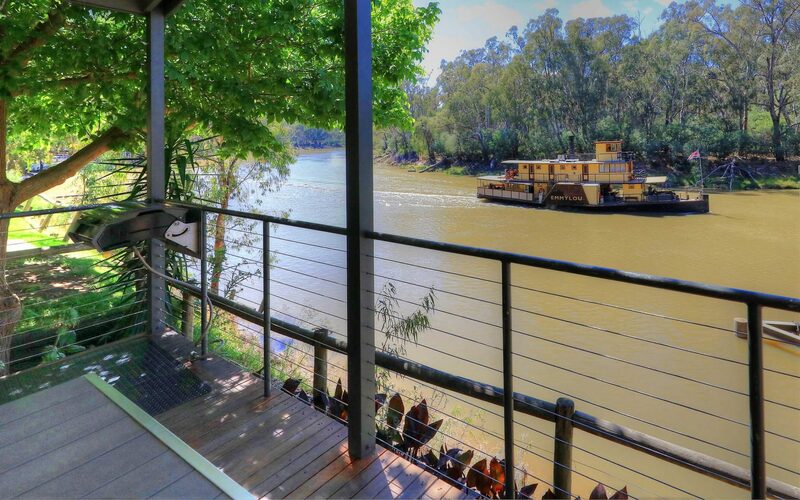 Boasting over 250 mtrs of absolute & uninterrupted river frontage views. Our largest & most modern cabins. Suitable for families or couples wanting to share. 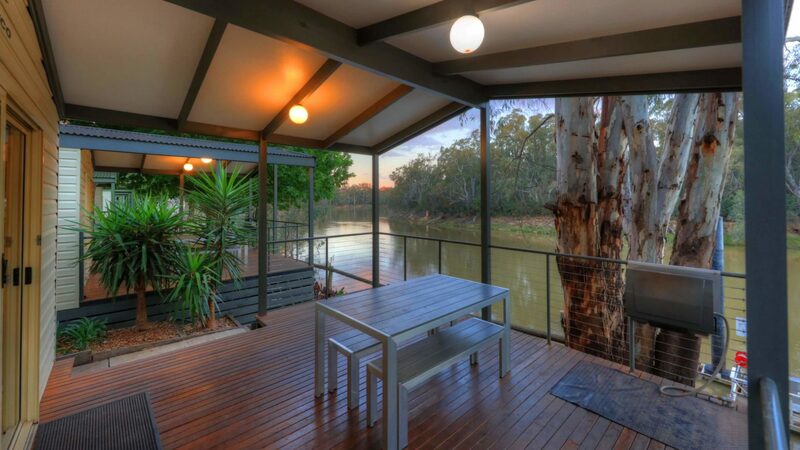 Absolute Riverfront in a prime location, absolute river front. Cabin offers a couples retreat with ensuite bathroom with corner spa & shower. Absolute Riverfront. Large cabins offer open plan living/meals area with plenty of space for a family of up to 6. 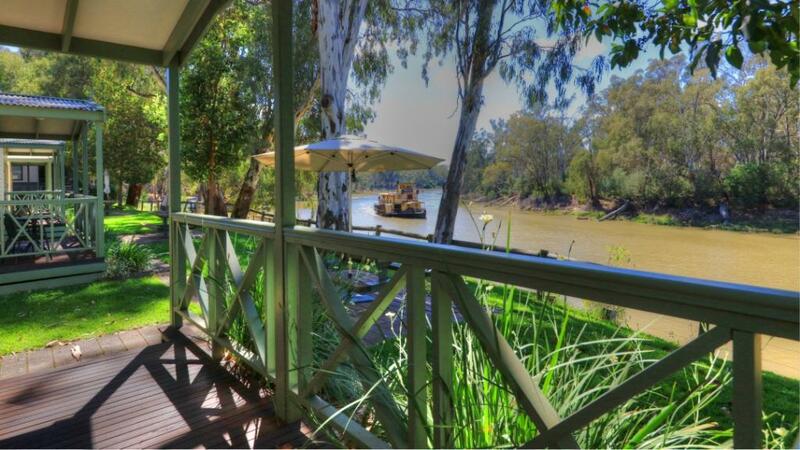 Absolute riverfront, fantastic value for a family. No water views. Positioned behind the Riverfront Cabins. 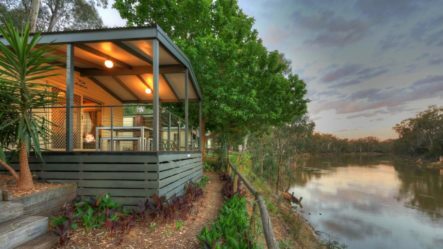 All of the caravan and camping sites at Moama Riverside are powered. Grass and hard slab site bases are available. 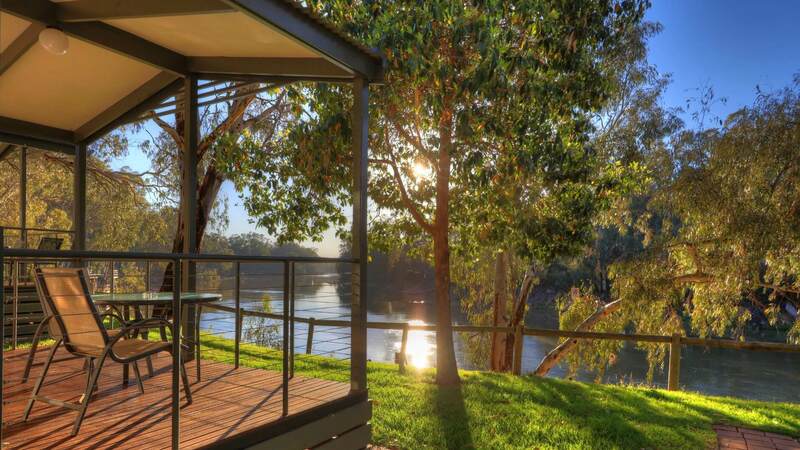 Moama Riverside Holiday & Tourist Park is located on the banks of the mighty Murray River boasting over 250 mtrs of absolute & uninterrupted river frontage.